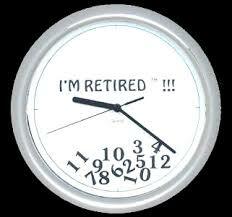 We all look forward to our retirement years; kicking back, enjoying life, not working, and spending time with our love-ones. The golden years are said to be of a time in which all our hard work is paid off and we can simply be; socialising with friends, taking up past-times and hobbies; and chilling out. But where are the best locations to do this? Most people sell their home and downgrade to a smaller, well-kept home that needs little maintenance in a town that has the perfect ingredients for a rewarding retirement. According to a latest survey from retirement developer McCarthy & Stone, these perfect ingredients are a town or village that is near shops and family and friends; and in a home that doesn’t require much work doing. Furthermore, it should have good security and possibly 24 hour help, with a smart design. So here are some top retirement hotspots that are of a sensible price to buy, have good transport and plenty of activities on offer to do during your spare time. This walled Roman city has a cathedral, an amphitheatre, a shopping outlet and the race course to provide beautiful surroundings and lots of fun for your retirement. It is well situated, so it is easy to access for your family to visit and is an ideal spot, with a country-town feel and grandchildren-friendly venues such as the zoo and aquarium. And if you are a fan of having the odd drink or two, the bars and restaurants have that old English cosy feel to them, to give your evenings that extra bit of charm. Why not sell your home and pick out a little cottage or bungalow in Chester. Within the area there are also smaller villages such as Great Gonerby, Manthorpe and Barrowby with delightful activities on offer such as cricket clubs, bowls and coast coach trips. If you fancy a peaceful retirement, maybe this is the location for you. It has a castle and medieval Georgian buildings and is surrounded by tranquil Welsh Marches. The East Sussex town has pubs, tea rooms and a local museum; and is only 20 minutes from Brighton. Why not take up bird watching there, or croquet, tennis, fishing, bowling or swimming? Located in the luxury and convenient up-market Surrey, there are charming semi-detached cottages and terraced houses. The village was originally created by department-store owner William Whiteley in the late 1900s, and is situated five minutes from Walton, and a 25 minute train journey to Waterloo. Said to be a place for ‘active retirees with a few more pennies’. If you are planning on retiring soon, and relocating to an attractive, calm town then use Robinsons International as your Removals service.